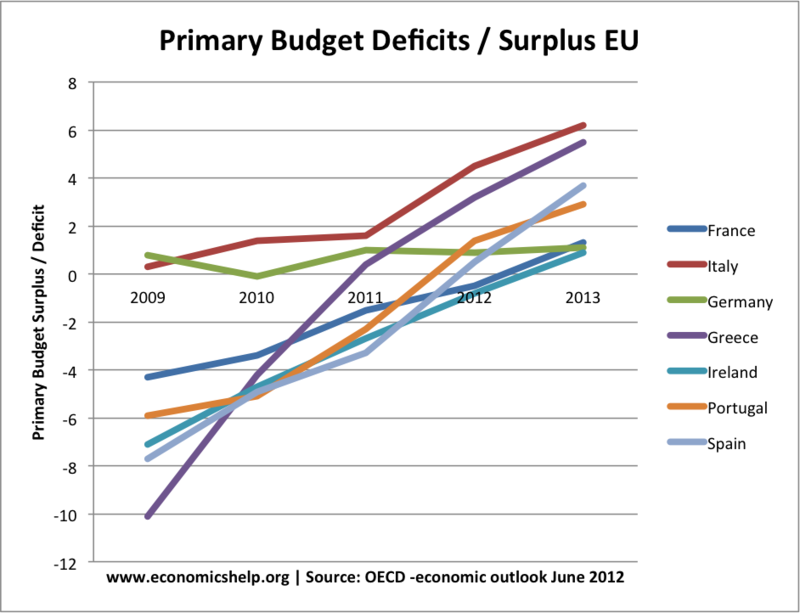 Most European countries have embarked on a range of austerity measures designed to reduce their budget deficits. Why have austerity measures been pursued with great vigour in Europe? 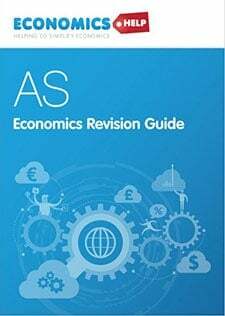 What is impact of austerity measures on economic activity? Pressure from Bond Markets. Investors have become nervous about holding debt in several Euro-zone countries. This has pushed up interest rates and increased risk of liquidity shortages. 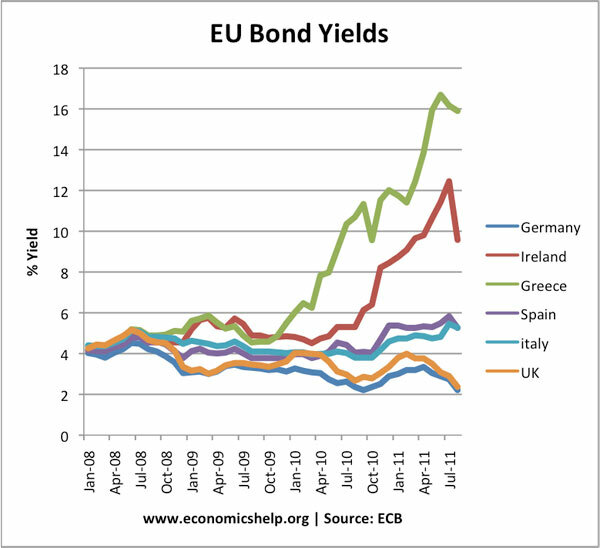 This pressure from the bond market is greater because there is no lender of last resort in Euro-zone. Cyclical Debt Issues. The recession of 2008led to a sharp rise in budget deficits across Europe. Combined with the credit crunch and fears over liquidity, these deficits have become harder to finance. Commercial Bank Losses. In the case of Ireland, the Irish government took on significant losses from its own commercial banks. 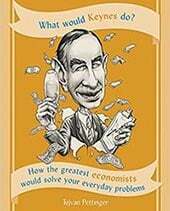 However, by taking on private bank debt, the government became overly-indebted itself. Therefore, it was necessary for Irish government to cut spending. One reason the Irish government took on Irish bank debt, is that other European banks could have faced very high losses had the Irish banks failed. Demands of ‘Fiscal Union’. Concerned over debt crisis, the EU have responded by threatening to redraw the Lisbon treaty and imposing harsher penalties on countries who exceed budget limits. Political Will. There is an old expression ‘if it’s not hurting, it’s not working.’ mentality. Perhaps this influenced the UK Conservative party – who were keen to make bold spending cuts in their first year of office. 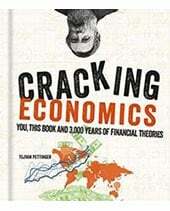 Certainly in US, calls for austerity agree with certain political ideologies which advocate lower government spending. 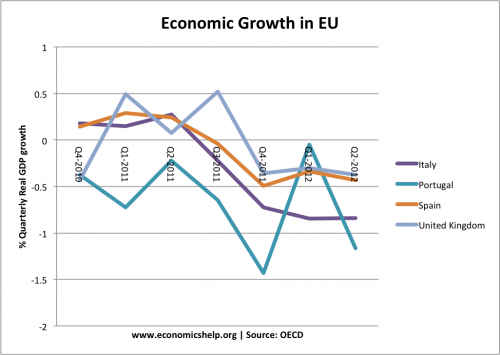 What is Impact of Austerity on European Economy? Spending cuts lead to lower domestic demand and higher unemployment, contributing to decline in growth prospects for Europe. This graph suggests a strong correlation between fiscal tightening (meaning higher tax, lower spending) and lower rates of economic growth. In 2012, Italy, Portugal, UK and Spain have all entered into a double dip recession. 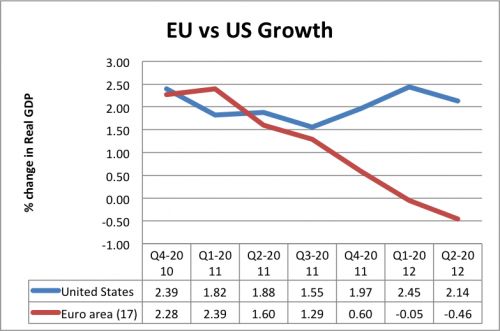 This European recession, compares to positive economic growth in the US. One problem faced by countries in the Euro, is that despite fiscal austerity, there is a lack of other policies to increase demand and growth. There is no scope for devaluation to restore competitiveness. In 2011, the ECB have still been concerned about inflation (leading to increase in interest rates). There has been no quantitative easing. There is hope that supply side reforms will enable improved productivity and competitiveness, but this will take time and could involve several years of high unemployment and low growth. This fiscal austerity is made more damaging because of the general slow down in economic activity. 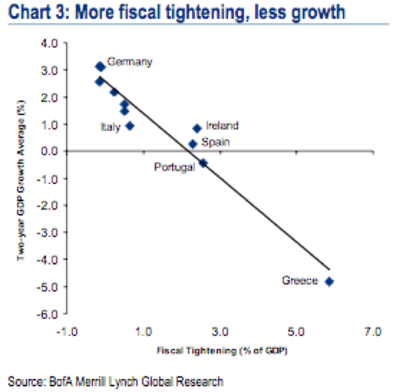 This shows the rapid fiscal consolidation in European economies. However, large spending cuts in a depressed economy have contributed to the double dip recession which has failed to ease the worries of the bond market. In 2012, the IMF produced a report which stated that the multiplier effect of fiscal consolidation was much greater than the EU predicted. 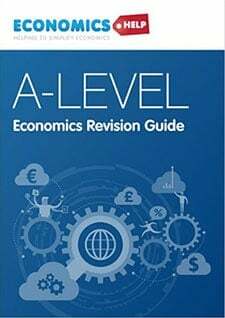 Experience of Latvia which pursued austerity policies. 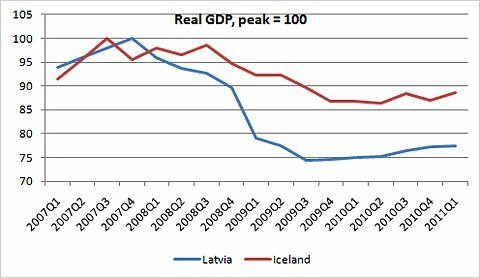 Iceland had a crisis, but benefited from substantial devaluation in their currency. Latvia is in the European monetary union, but hasn’t taken Euro coins yet. 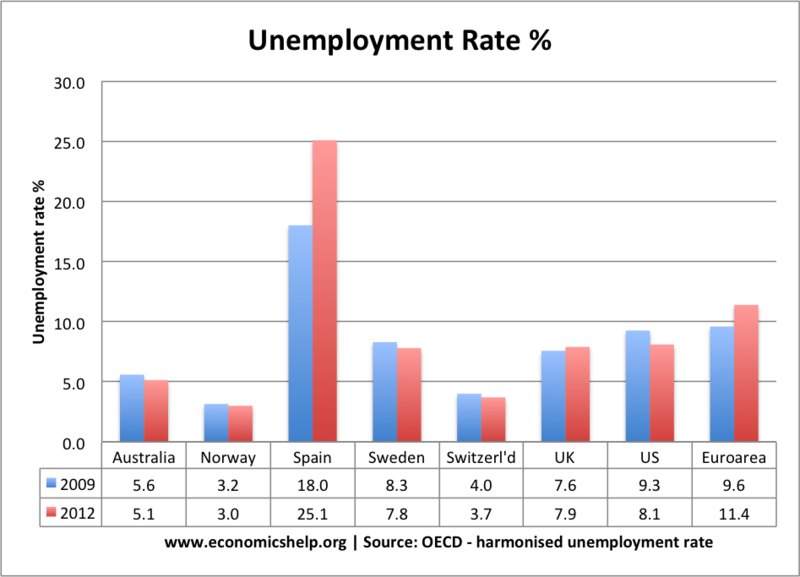 More on: How does Austerity affect an economy? 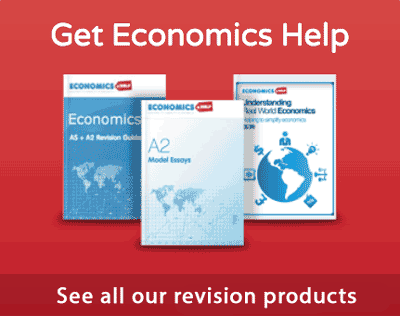 ← Prospects for Recovery in the UK economy?